By Cathleen A. Baker. 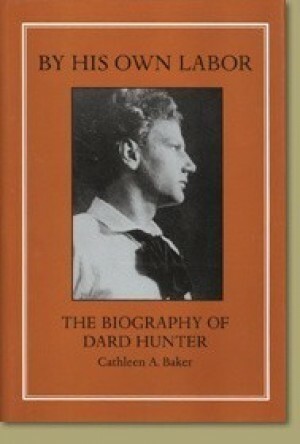 This is the first comprehensive work about all facets of the Dard Hunter life to be offered in a trade edition. 360 pages with 76 pages of color and black and white illustrations, published by Oak Knoll Books. Hardcover.